When you want to send flowers online you want to be able to do it easily and without any stress – after all that's probably why you chose to send flowers online in the first place. Fortunately with our user friendly website, we have made it easier than ever to do just that. You can organise flowers by post with ease from wherever you are in the UK. Just visit our simple to navigate website, where you can browse our extensive range of flowers, send us any special instructions or personalised messages to go along with them, and we will arrange for your flower delivery online with zero hassle. We have purposely created our website to be simple for anyone to use, whether you're nine or ninety. For us at Flower Delivery enabling you to send flowers online isn't just something we do for fun, we do it because we love it. We love being able to create truly stunning and unique bouquets for our customers, and we are so passionate about this that we have dedicated ourselves to providing the most extensive, and gorgeous range of flowers available anywhere in the local area. With us you can buy some of the most unusual breeds, get unbeatable colour varieties and just choose the most brilliant of bouquets available. We guarantee you won't find some of the flowers you can buy from us anywhere else, so when you want to send flowers that are really special we're the online flower shop for you. Not only are we proud to have the widest range of flowers available in your area, but we are also extremely proud to have the very best florists too. They can take a simple request and turn it into something that will take your breath away. Whether you know exactly what you want in your bouquet, or would like our florists to design something on your behalf, we know you won't be disappointed with what they create for you. Our team take immense pride in what they do, so we want every single one of our customers to be completely satisfied with what we create. And if you're not, just let us know and we'll put it right. We don't just send flowers online, we send flowers that you won't get anywhere else. 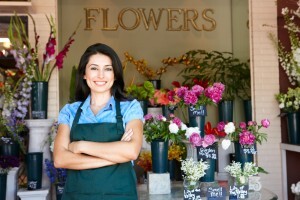 To have flowers delivered to your door (or someone else's) can be considerably expensive with some flower shops. But at Flower Delivery, we've never really understood why. We want everyone to be able to enjoy buying and sending flowers, and we know we can't achieve that vision if we overprice everything. That is why we are pleased to be able to offer not only the widest range of flowers by post, and an exceptional team of floral designers, but also some of the best prices in town. With us you can afford a gorgeous bouquet no matter what your budget, so check out our selection of cheap flowers and order and save money online today. If you need flowers delivered quickly then we are here to help. We offer the fastest flower delivery around, whether you need same day flowers, next day flower delivery or you want to book in advance, we can help. 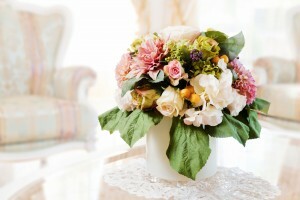 You shouldn't be forced to wait for your flowers to arrive, especially if you need them quickly. Whether you need a last minute gift, or just want to send a thoughtful gesture to someone, we want to help make it happen. Great value for the money! The cheap flowers arrangements are all very pretty, but I made my choice and the recipient in loved them! Sending flowers online with Flower Delivery is easy! Recipients loved their holiday flowers from, it was a really nice tabletop centrepiece. They commented on how full it was, which I liked because it meant that they did not skimp and makes their tiny flat feel warm and homey. Their assortment of high quality sympathy flowers was quite substantial. I ordered a one-sided design full of lilies, roses and delicate greenery. Upon arrival to the memorial service, I was able to see the flowers for myself, and was pleased. Highly recommend. Good flower delivery service. My order arrived at its destination in excellent condition. Recipient is well pleased. Sending flowers online is super simple here. My friend who received the gift was over the moon with happiness!